While launching his official campaign for the Democratic nomination in his home state of South Bend, Indiana, Mayor Pete Buttigieg avoided mentioning President Donald Trump by name and instead spoke in broad strokes about politicians who use empty promises to pander to rural and industrial communities. The Sunday announcement moves Buttigieg’s campaign past the exploratory stage that proved successful in drumming up national attention. Despite not mentioning Trump on Sunday, the multi-lingual Harvard graduate has so far gained traction by positioning himself as not merely a Democrat, but the antithesis of the president in both policy and demeanor. Buttigieg’s candidacy would mark the first time an openly gay politician has snagged a spot on a major party’s ticket, and he would also be the youngest leader to serve in the Oval Office, barely a few years older than the legally minimum age. The historic implications of his campaign were a centerpiece of the kickoff. “I know it’s a little bold,” Buttigieg said, drawing laughs from the crowd. The rousing speech, which can be viewed in the video below, touched on a range of issues, from the need to address climate change to abolishing the electoral college. His comments on immigration attracted garnered a raucous round of applause. “To those in charge of our border policy, I want to make this clear,” he said, “the greatest nation should have nothing to fear from children fleeing violence. And even more importantly, children fleeing from violence should have nothing to fear from the greatest country in the world. However, his campaign hasn’t yet debuted detailed policy plans that would bring about those changes, a reality his nascent campaign will likely need to confront to compete with a crowded roster of presidential hopefuls. Recent polls show Buttigieg in seventh place nationally for the ticket, lagging behind Former Vice President Joe Biden, Senator Bernie Sanders, Beto O’Rourke, and Senators Kamala Harris, Elizabeth Warren and Cory Booker. 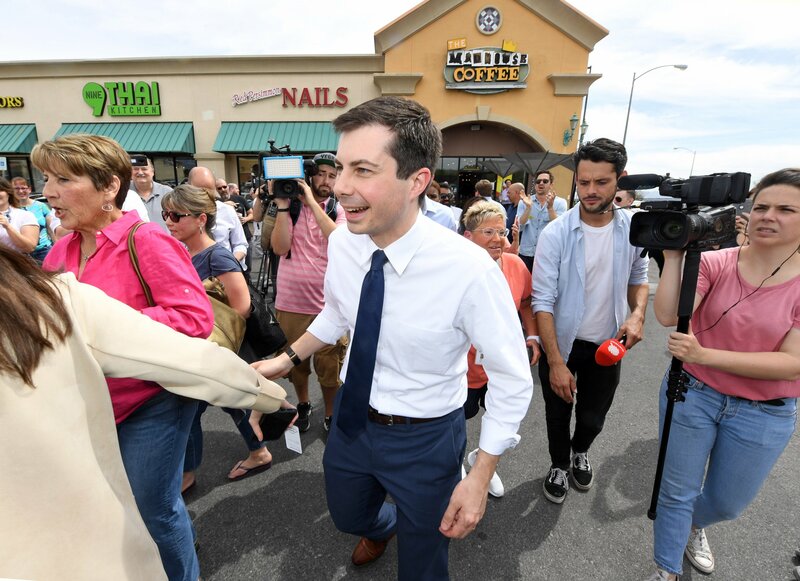 However, the young candidate is currently faring much better in more localized polling in bellwether states like Iowa and New Hampshire, where Buttigieg has ranked as high as third among Democratic voters.